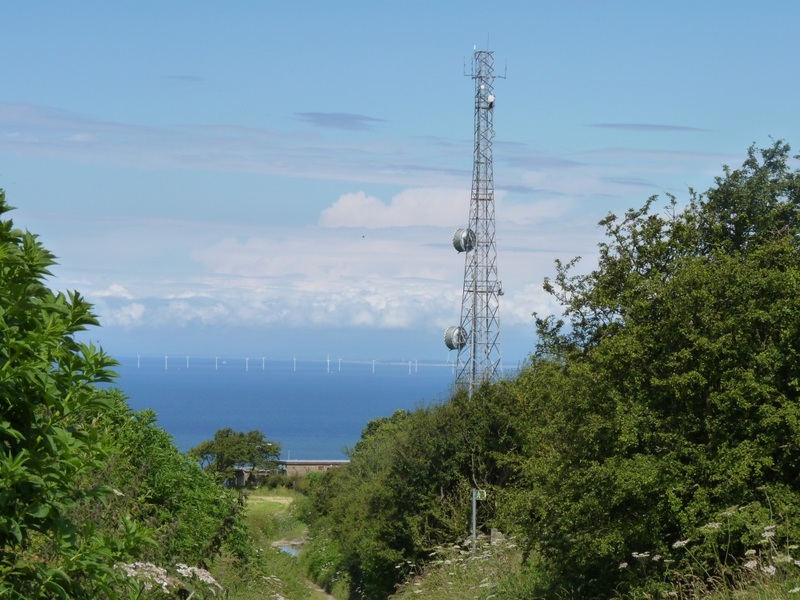 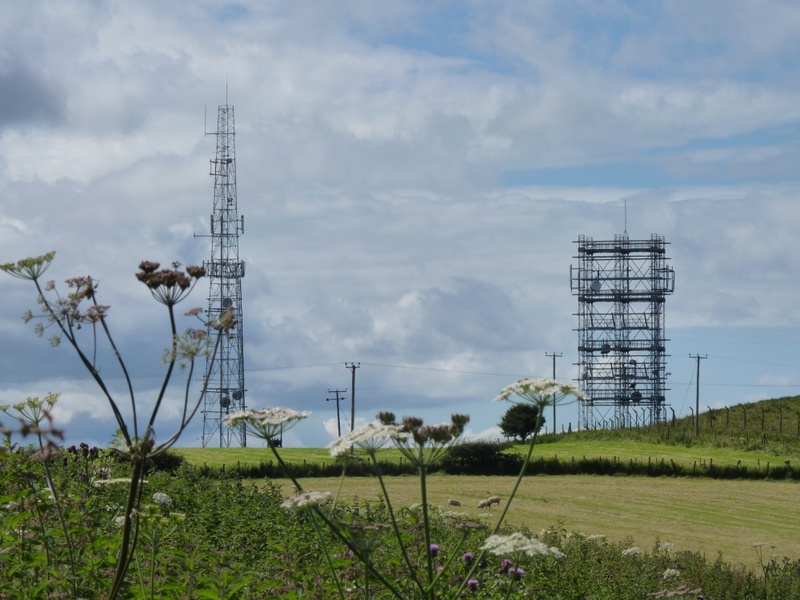 Drove to the top of the hill at Gwaenysgor (above Prestatyn) this afternoon. 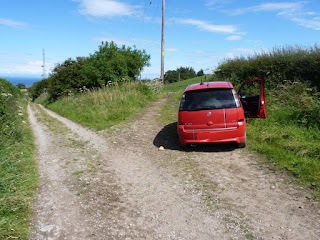 The road turns into a track after a bit. 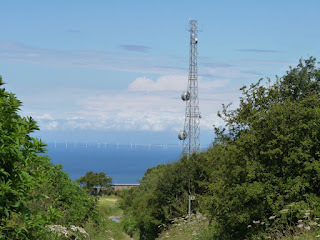 A good view towards the north (could see Blackpool Tower). 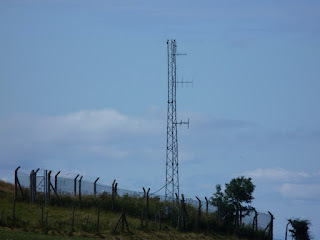 What is the broadcast type antenna on the small mast (funny looking dipole)? 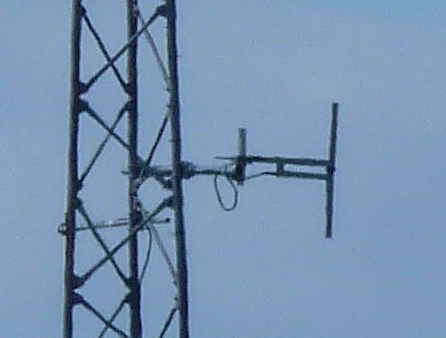 Real Radio is from that site on 107.3 but there is a slant polarised yagi on the tall mast which is what Real Radio should be using. Spoke to G4UXH/P on Burney (WOTA LDO-075) on 145.300 from up there on the car radio. After this we went for a walk at Mynydd y Cwm (SOTA GW/NW-076) where I made one QSO with 2E0MIX/P on WOTA LDO-058 (Raven's Crag Stickle Pike) using my handheld only. No replies to my CQ calls on 145.500 so that's the 2nd time I've been up there without getting an activator point.